Bring to OneNote can put Word document as plain text output to OneNote 2007 ,Excel workbook as Pure table output to OneNote 2007, the output to OneNote content can find and edit. send the pdf file to OneNote from adobe acrobat, send Web title, text and images to OneNote from Firefox, Thunderbird, Chrome, Opera, Safari, Internet Explorer and Windows Explorer. 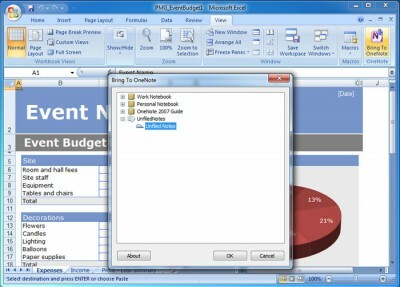 Bring title, text and images to OneNote 2010 from Office and Browser. Easy-to-use password recovery for MS OneNote files (.one). Add frequently-used pages, sections, searchs to OneNote 2010 ribbon tab.